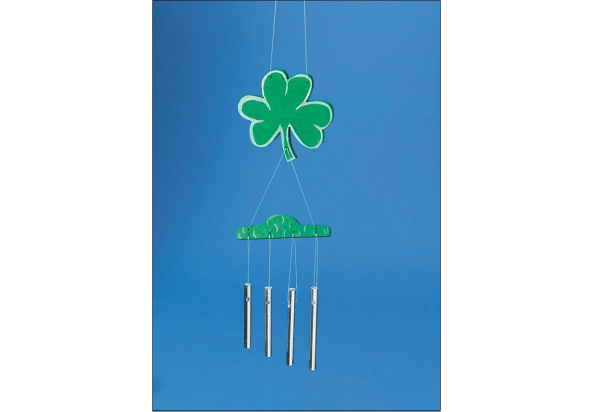 WD7367 Shamrock Wind Chimes Pk/6, DIY Craft-Wooden DIY Item-台州山水工艺有限公司官网,山水工艺,台州山水工艺,仙居山水,台州山水,Taizhou Mountain & River Art and Crafts Co.Ltd,Registered and established in 2006, Taizhou Mountain and River Crafts Co., Ltd is a storage trading company, also is the only one Sino-U.S. joint venture in Xianju County, which was jointly set up by the U.S.-based S&S Worldwide and Xianju Yikai Crafts Co., Ltd. Enjoy assembling and decorating these craft wood wind chimes, then listen to the music they make! Assorted styles are perfect for every season. Kits include craft wood pieces, monofilament thread and metal chimes. Comes unassembled and unfinished. Approx. 2-1/2&quot; to 3&quot; with 2-1/2&quot; chimes. Chimes come tied to the wood strip.